The National Achievement Test is an annual examination given to Grade sixth and tenth students in the Philippines. The students' knowledge and mastery over the subjects English, , Mathematics, Science, Filipino, and Hekasi is measured using a multiple choice type test. The examination is administered by the Department of Education's National Educational Testing and Research Center (NETRC). English studies explore the production and analysis of texts created in English (or in areas of the world in which English is a common mode of communication). This subject will enhance the oral and written skills of the student that they can use in everyday. This Free Online UPCAT English Reviewer is for the University of the Philippines College Admission Test or more popularly known as the UPCAT. The test is a qualifying test administered to students who would like to study at the University of the Philippines. This reviewer covers the topics in English like: Language Proficiency, Sentence Completion,Verbal Analogy & Correct and Effective Expression. Eunice Mae Santillan, Rovhilyn Martinez, Korina Marie Zamora & Henna Marie Pedro. This Free NAT Elementary English Reviewer is for NAT, an annual examination given to Grade sixth and tenth students in the Philippines. The students' knowledge and mastery over the subjects English, Mathematics, Science, Filipino, and Hekasi is measured using a multiple choice type of test. The examination is administered by the Department of Education's National Educational Testing and Research Center (NETRC). This National Achievement Test (NAT) reviewer focuses on Araling Panlipunan, especially in Economics. UPCAT is part of the admission requirements of the University of the Philippines for the aspiring students who wish to study in the said university. For this examination, this Free E-LEARNING UPCAT ENGLISH Reviewer was primarily made. This reviewer covers the following topics--parts of speech, general grammar rules, syntax and mechanics, diction and vocabulary, and reading comprehension. The National Achievement Test (NAT) is a diagnostic test given by the Department of Education (DepEd) to all public and private schools in order to measure the mastery of learning of students. It is given to Grade 3 (for primary education), Grade 6 (for intermediate education) and Fourth Year (for secondary education) students to find out whether the competencies suggested in the Basic Education Curriculum have been learned and/or mastered. 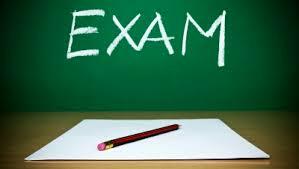 There are five areas of examinations: English, Filipino, Mathematics, Science and Araling Panlipunan. Most of the time when we talk to people, we use the normal language that any two persons would use. 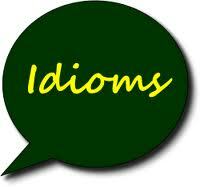 Using idioms may sound artificial for some but using them could enrich and polish our conversational skills. Though it is very hard to correlate the similarity between the idiom and its meaning at times, idioms definitely add spice to our life. My best friend George has had a bee in his bonnet all day, but he won’t tell me what’s wrong. Editor’s note: The following is the article written by today’s most famous Filipino historian Ambeth R. Ocampo on Jose Rizal’s death. 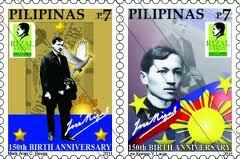 Simply entitled, “The Death of Jose Rizal,” this historical piece by the current head of the National Historical Institute (of the Philippines) could be deemed refreshing and controversial, as it offers several unpopular and unorthodox accounts of what (presumably) transpired on the day of Rizal’s execution. For one thing, it virtually proclaims that Rizal refused to kiss the crucifix before he was executed, thereby negating the claim of other historians (like Zaide) that the national hero even asked for this Catholic sacramental. Happy reading!